In a previous post I wrote about Marie Kondo’s popular book, “The Life-Changing Magic of Tidying Up.” I wrote that it aligns well with recognized organizing principles and can be a valuable resource for people who want to declutter their homes. I love to fold clothes. 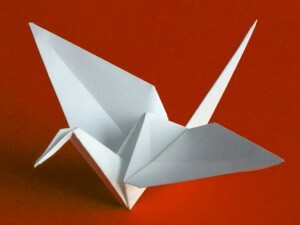 As a child, I had books of origami designs and I delighted in carefully folding the squares of brightly colored paper into whimsical beasts. 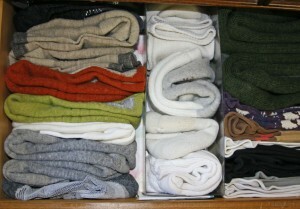 I used to be teased about my sock drawer with its rows of orderly socks. 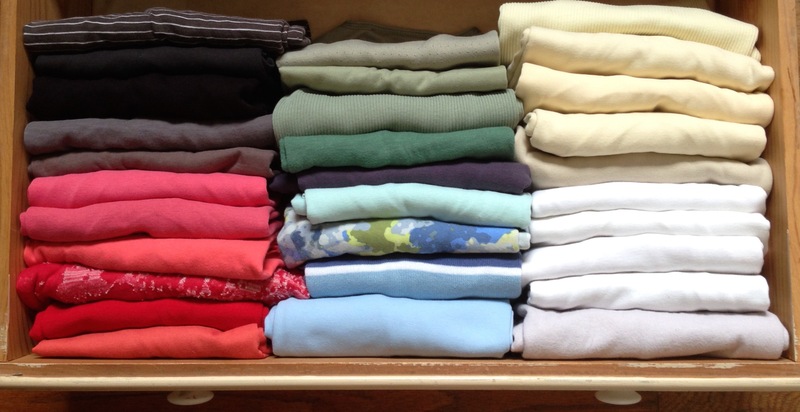 When I worked for a short time in a retail clothing store, one of the chores I loved was re-folding the shirts, sweaters and jeans into perfectly aligned stacks. When I read Kondo’s chapter about folding, I felt a thrill of recognition. I love to fold! 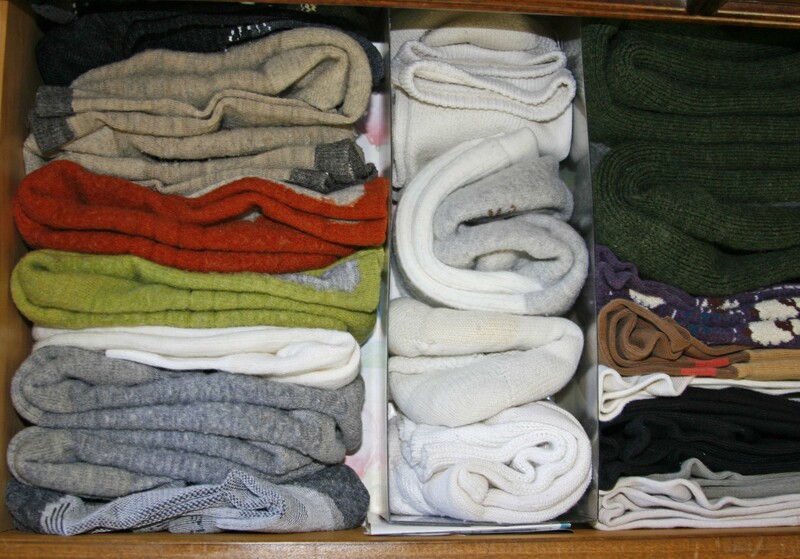 Kondo believes one of the benefits of folding clothes, besides saving space, is that you must touch and handle each piece of clothing repeatedly. Practically, it is an opportunity to scan for areas of wear or fraying, or spotting intractable stains that might not be apparent if hung on a hanger or thrown in a drawer. It also allows you to evaluate your wardrobe piece by piece on an ongoing basis. “The goal,” Kondo says, “is to fold each piece of clothing into a simple, smooth rectangle” so that it can stand upright on end. Arranged one next to each other like books with the spines facing up, it maximizes space and allows you to see every item whenever you open the drawer. 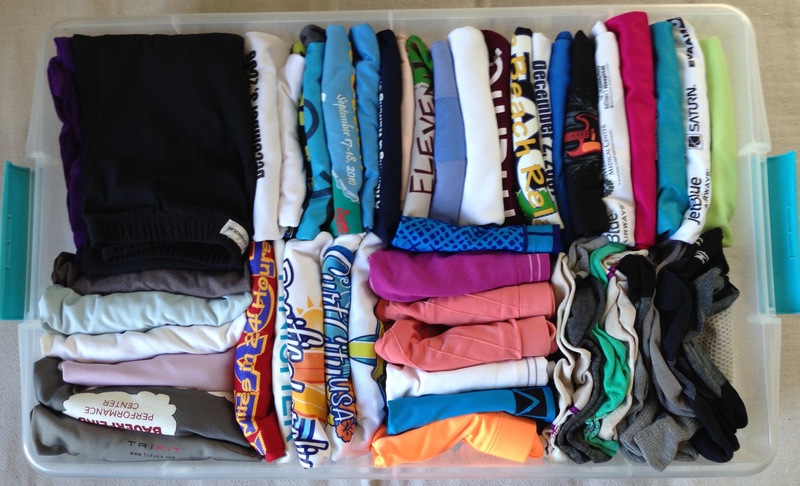 For example, fold a T-shirt first by folding lengthwise the two sides in to the center. Tuck the sleeves in. Next, fold the bottom to the top. Then fold it again in half or thirds so that it should be able to stand on edge without support. Google “KonMari folding” to find videos demonstrating the technique for T-shirts, pants, socks & underwear. Try it the next time you do laundry. It becomes almost a meditative practice, smoothing the fabric, neatly folding in the sides then the bottom and placing them in a drawer. It’s not difficult, nor particularly time consuming. You’ll be amazed at how much space you save.